Overview… an evil witch who uses the rejuvenating powers of a magic flower to stay young forever. When that flower is co-opted by the royal family, Mother Gothel kidnaps the young princess, Rapunzel, and raises her as her own daughter. Mother Gothel is careful not to let Rapunzel out of the tower where she lives. If she keeps Rapunzel locked up, she can continue to harness the flower’s powers, which Rapunzel now possesses. Personality… vain, manipulative, and selfish. Mother Gothel has some motherly, nurturing qualities, but they’re always as part of a façade used to maintain control over Rapunzel. She lies about the dangers of the outside world, plays the victim for sympathy, and batters Rapunzel’s self-esteem ­– all in order to keep her power. Mother Gothel's popularity ranking on CharacTour is #1192 out of 5,000+ characters. See our top-ranked characters and read their profiles. Set between ?Tangled? 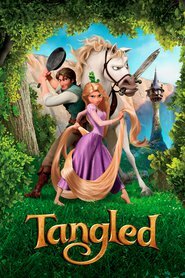 and ?Tangled Ever After,? 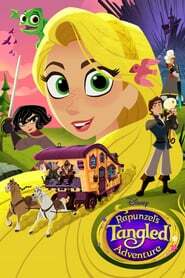 this animated adventure/comedy series unfolds as Rapunzel acquaints herself with her parents, her kingdom and the people of Corona.